Printing or imagery alone can do a great job of conveying a message however when you mount it to a rigid board it becomes a marketing item that commands a lot of attention. At AbleGraphix we are capable of mounting to substrates that other die cutters have difficulty with. 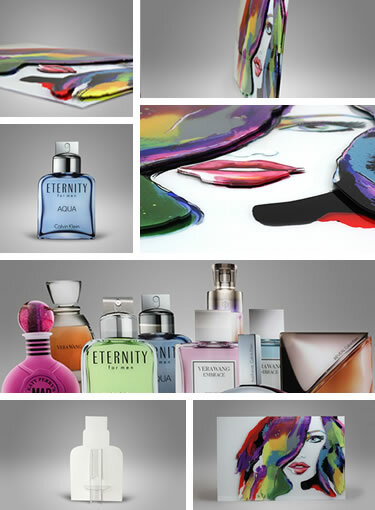 We have expertise in mounting to acrylic, PET, magnetics, cork, rubber as well as other obscure substrates. We use only the highest quality materials and methods at all levels of production. Our adhesives and laminates are optically clear and pH balanced with UV absorbers and stabilizers. Face mounting is a technique that creates a permanent fusion between the face of a print and an acrylic material. The back of the print can be treated with a back mount. Back mounting is a technique that creates a permanent fusion between the back of a print with many materials including acrylic, and sintra.